The count in the presidential is well underway and Michael D Higgins is set for a landslide victory. An RTE exit poll carried out by Red C suggested Michael D Higgins will be returned as president 58.1% of the vote, while business man Peter Casey will get 20.7% of the first preference vote. 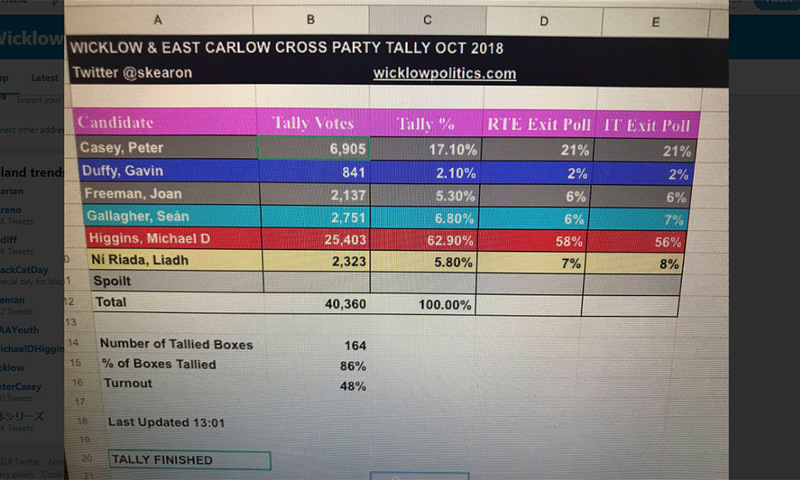 Polls carried out before the election had Casey at 2%. 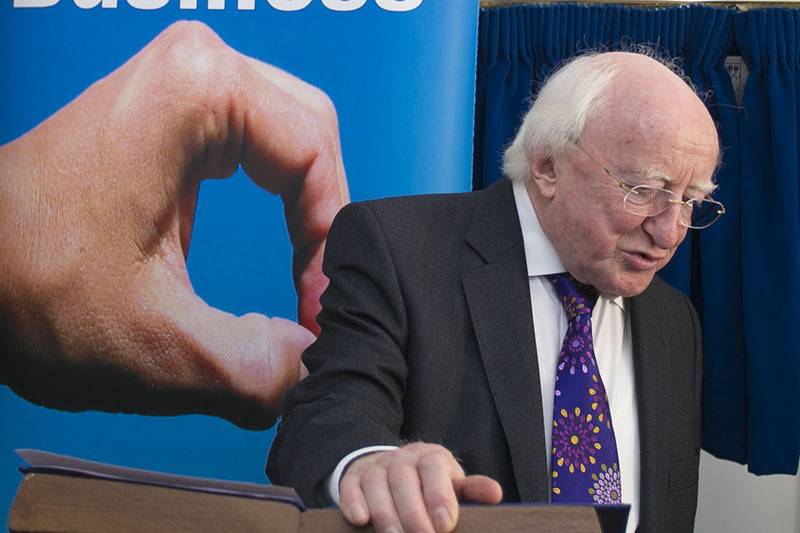 Michael D Higgins is only the second president to have won two terms at the ballot box, the only other president to do this was Eamon de Valera.